← The Night I Raced Ming! This article is reprinted here with the permission of Hugh Barrow, who wrote it for westend report. The harrier world of north west Glasgow was traditionally split on geographical grounds, writes Glasgow Hawks’ Hugh Barrow. Clydesdale Harriers used Hall Street and then Bruce St Baths in Clydebank, Maryhill Harriers used the baths at Gairbraid Avenue, Victoria Park used the Whiteinch Baths on Medwyn St and Garscube Harriers had their own hut next to Westerton Station. The common factor here was a supply of hot water!! It is well known that Clydesdale Harriers was the first open athletic club in Scotland and their first track race was held in 1885. They also had annual sports – mainly at Kinning Park and Ibrox but also at other football grounds such as the Meadowside (Partick Thistle’s original home), Celtic Park and even at Dunoon. Prior to the Harriers, athletic sports were either carried on by the professionals or by the public schools. The earliest in the west of a Scotland was organised by the Glasgow Academical Club . 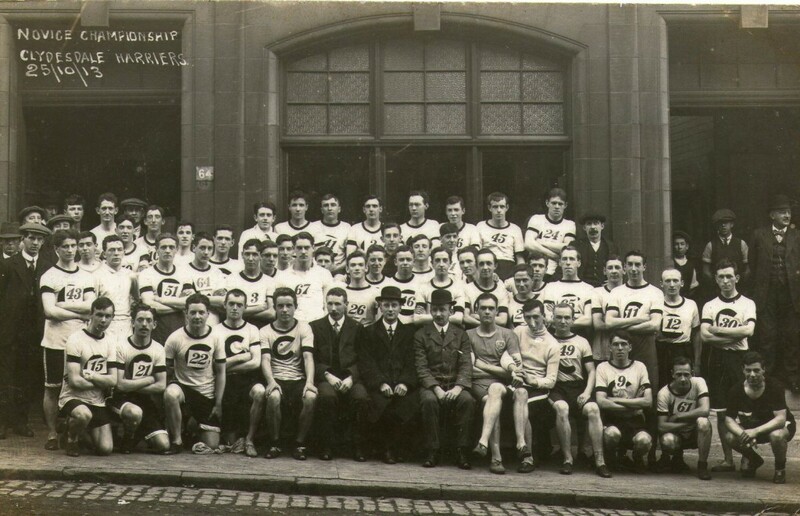 The Glasgow Academy Sports, as it later became known, is maybe not a name that jumps out the athletics calendar at you but it is an event that provides a timeline for the history of athletics in Scotland and is probably the oldest surviving meeting in the west. It first saw light of day in May 1868 some 15 years before the SAAA were formed in 1883 and has taken place every year since even throughout two World Wars. Originally organised as the Glasgow Academical Sports it was first held at the historic Burnbank ground, which lay on the south side of Great Western Road between the present Park Road and flyover on the M8 at St George’s Cross. This ground was home at various times to Glasgow Accies Rugby Club, Rangers FC, various cricket clubs and saw the birth of the world’s oldest inter district rugby match when Glasgow first met Edinburgh in 1872 in the Inter City. It can also lay claim to be the ground that gave William Smith the impetus to found the Boys Brigade as he drilled there with the 1st Lanarkshire Volunteer Rifles. He founded the Brigade nearby at North Woodside Road in 1883. Initially the Sports’ programme included a wide range of events for pupils and former pupils and also included “strangers” races which in effect were open events that helped to encourage athletics in the area. It was common practice at the time for rugby and football clubs to host athletics meetings and this is reflected in the founder clubs of the SAAA. Over time the event moved to Kelvinside in the 1870s and then on to Old Anniesland in 1883, finally making its current venue at New Anniesland in 1903. At the end of the Victorian era the Sports had become a major social gathering with the Royal Scots Greys band stopping off to play en route to the Boer War. The Academical Club also organised a paper chase – also known as hares and hounds – where two runners (hares) set off carrying crescent shaped bags full of paper trimmings under their armpits and laid a trail, made up on the hoof, to be followed by the main pack (the hounds). The course finished at Burnbank and went as far as Balmore and Bardowie. Now largely built up, at that time it was clear country most of the way until they came back through Hillhead. The prime movers of this event were JW Arthur and Tom Chalmers who both played rugby and cricket for Scotland – and the latter almost made it for football as well! The actual route was as follows: meet at Bishopbriggs station – Cadder – Balmore – Glenorchard – Milngavie Road – Bardowie Loch – Allander Toll – Killermont – Canniesburn – Garscube – Great Western Road – Hyndland Road – Dowanhill – Hillhead – Burnbank. The course as described would later become the training territory for the harrier clubs of west Glasgow.